As a 12-year-old, Jack McDonald took part in his first political protest. That was to signal his opposition to the Labour Party’s foreshore and seabed legislation. A few years later he tasted defeat again when he was one of many opposing the plans for the Kāpiti Expressway. Since then he’s tried making it into parliament as a Green MP. No luck in his two attempts so far. 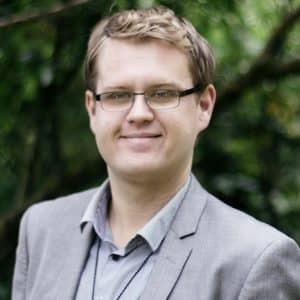 Now, as things heat up for next month’s general election, he’s near the forefront of the Green Party campaign — at number 11 on the list, and contesting the Te Tai Hauāuru electorate — to help dislodge National’s hold on the Beehive. Here he talks with Dale about how, despite his youth, he’s already become a political veteran. Kia ora, Jack. You’re an unusual would-be politician, because, here you are, still in your early 20s but already with two election campaigns (2011 and 2014) behind you. And, according to legend, you joined the Green Party as a 16-year-old. And nobody in the history of the planet has ever joined the Greens at 16. Actually there’s a 15-year-old member at the moment. And she’s giving speeches — and has set up a Young Greens branch in Christchurch. So there are young ones out there. I’m not alone. Quite apart from the recent kerfuffle surrounding Metiria, there’s been criticism through the years that, although the Greens have been really strong on environmental issues and social justice, they’re middle-class socialists. Sort of well-heeled lefties. It’s true that, traditionally, the Green Party has been predominantly middle-class, urban, and Pākehā. But we’ve diversified in recent years, and I’ve been proud of our kaupapa Māori mahi that’s taken up most of my time. And we’ve broadened our base so that we’re the most relevant force for diverse communities. We stand up for a tolerant, inclusive society that has Māori values hand in hand with Green values. No doubt, along the way you’ve been helped, perhaps been inspired, by people around you. Definitely one of my biggest inspirations has been my nana, Jacqui Baxter. She was a poet and short-story writer, also known as JC Sturm, who died in her 80s a few years ago. But she held on to her Māoritanga and was the backbone of our whānau. 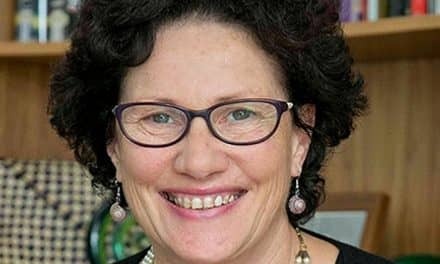 In terms of political heroes, though, it has been Metiria Turei. She was a big reason for me joining the Greens eight years ago. I saw the Greens as becoming a major force in te ao Māori and I saw Metiria as being able to bring that about. After the last election she asked me to be her senior executive assistant — which was a big act of faith from her because I was only a few years out of Kāpiti College, and I had virtually no relevant work experience or any tertiary qualifications because I’d dropped out of uni. 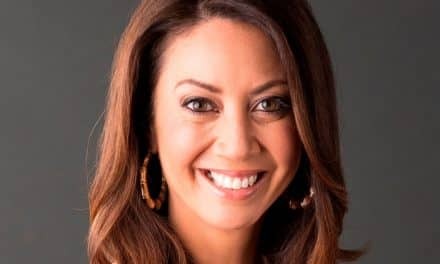 I believe that when the history of these years is written she’ll be acknowledged as one of the most important Māori leaders of her generation because she has given voice to those who’ve been suffering and who’ve been under constant attack. It’s true that she’s been forced to stand down as co-leader of the party, but I believe she’ll be still seen as an important figure in the struggle to end poverty and to fix the broken welfare system. 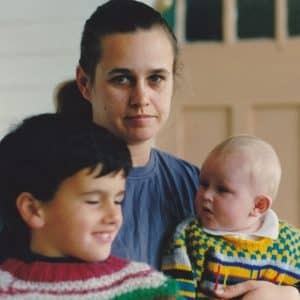 Jack with older brother, Alistair, and mum, Stephanie Te Kare Baxter. Let’s go back for a moment to your nana because she really was an important literary figure as well as the rock in your family. Well, it’s through her that I get my whakapapa Māori. She was born in Taranaki, in Opunake, and her name, initially, was Te Kare Papuni. 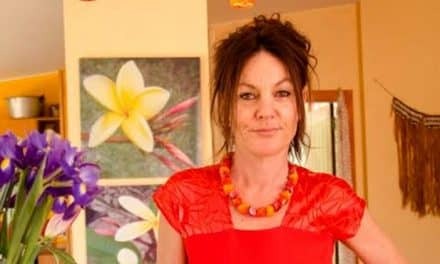 But her mum died in giving birth to her — and, although her dad then moved back to Opotiki, to Whakatōhea, she stayed in Taranaki and was brought up by her grandmother. Then her grandmother fell ill and died, and my nana was whangai’d out to the local nurse, Ethel Sturm. So that’s where her Sturm name came from. But the Sturms moved around the country, mostly in urban environments, so my nana didn’t have a chance to grow up Māori. But she was able to carry on with her education — and, in fact, was one of the first Māori women to get a university degree. She may even have been the first Māori woman to get a master’s with first-class honours. That was from Canterbury University. Then she married James K Baxter, who was a young poet and writer himself and was later a well-known, bearded figure as the leader of a commune at Jerusalem on the Whanganui River. And they had two children, one of whom (Hillary) had my mum, Stephanie Baxter, who was formally adopted by my nana. Because James K Baxter was such a colourful figure, and because everyone knew of him or his work, I grew up to some extent in his shadow. And I learned about his father, too, because Archibald Baxter had been a conscientious objector in World War I, and like others, had still been sent to the frontlines in France and been brutally tortured. He wrote a book about that experience called We Will Not Cease. There’s a similar whakapapa of non-violent resistance on my nana’s side, too, because her people came from Parihaka. From an early age, I’ve been grounded in the understanding of those inspiring traditions of non-violence in Aotearoa. In a way, just learning about my whakapapa has been a political act. And my interest in politics was almost inevitable. So, too, has been the understanding of why we should be striving for a better world. And, 24 years ago, along comes Jack McDonald, a son for Stephanie Baxter and Ian McDonald — and pretty soon, like his mum, he becomes strongly grounded in his Māoritanga. Is that how it went? Although I suspect it wasn’t always smooth sailing for a young fulla who’s too fair-skinned to look Māori. 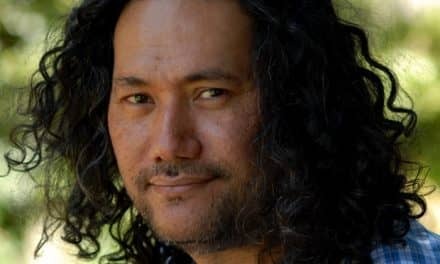 I was always very conscious of being Māori, and even at primary school at Pukerua Bay, I felt the burden of being one of the very few Māori there. And, over the years, there was the feeling of not fully fitting in to te ao Māori or the Pākehā world, but still having the privilege of being able to operate in and move between them both. For the most part, people don’t approach me about that with malice. It’s more that they’re genuinely surprised to see someone who does have lighter skin speaking te reo and being strong in their Māori culture. Early on at high school, I was a little ratbag, and looking back on it now, I think I was always striving to be the centre of attention. In my Year 9 and Year 10 years, I probably expressed myself in really annoying ways to my teachers. But later on I was able to channel that into much more constructive ways when I started doing a lot of extracurricular activities. For instance, I was involved in the Ngā Manu Kōrero speech competitions most of my high school years — doing both English and te reo Māori. Also, I did kapa haka and debating and drama. Loved acting in Shakespeare. But I never really gelled with academic life either at high school or later at university — although I was able to get good grades if I put the time in. I was also the student trustee on our board of trustees. 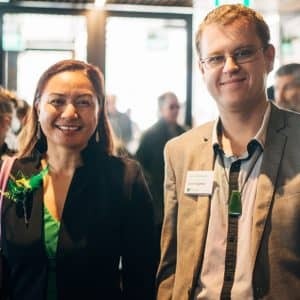 With Marama Davidson at this year’s Green Party campaign launch in Nelson. I admire your reo Māori. It really is wonderful to hear. How did you come to be so proficient? The credit, first of all, goes to my mum, Stephanie, because it was her that provided the Māori environment. And I was involved in our community kapa haka in Kāpiti from a very early age. Then I started learning te reo formally at Kāpiti College and at university, although I didn’t really take to the university style of teaching. It wasn’t until I started using it actively for my job in politics that I made real headway — and, particularly last year, going back home to Taranaki and learning through Te Reo o Taranaki. What was especially helpful were their Kapunipuni Reo wānanga, which is about going back and learning our own Taranaki reo, on our own marae in Taranaki, through our own waiata, karakia and tikanga. That was really the breakthrough moment for me. Kia ora, Jack. That sounds like a great way to go about it. But let’s turn now to what pisses you off about living in New Zealand. That’s the culture of individualism that, sadly, we’ve had throughout my lifetime. It’s the dog-eat-dog mentality where we pit our neighbours against each other. Where at times there’s no sign of compassion. We saw a manifestation of that in the vitriol directed at Metiria when she made her stand on welfare. It was an extension of the beneficiary bashing that we’ve witnessed for years — the dehumanising of the people who have to depend on benefits. We once had a full employment economy — but those who were on benefits weren’t thrown under the bus because we had a cradle to the grave welfare system and an understanding that we’re all in this together. But the right wing has been able to implement their agenda by breaking down the concepts of solidarity and kotahitanga and compassion that once were paramount in New Zealand. In the course of this kōrero, you’ve mentioned several people who’ve impressed or inspired you. But are there others you’d like to mention? Well, a number come to my mind. For example, some of those who’re working on our reo revitalisation. Like Ruakere Hond. Back home in Taranaki, they’re doing critically important mahi that our people need. In politics, I admire people like Hone Harawira who see things clearly and speak their mind. Then there are other Māori politicians, such as Peeni Henare, who’re committed to revitalising our reo. And there’s Marama Davidson who, I think, represents the new generation of powerful leadership that’s starting to reshape the political landscape in Aotearoa with Māori no longer marginalised. Tēnā koe Jack, mīharo tēnei kōrero. Tika tāu moemiti ki a Metiria rāua ko Ruakere. Ka rawe tō huarahi ki te pāti kakariki hoki. Māu taku pōti hei tērā marama. Kiaora Jack, I admire your resolution. Your comment .. Maori values hand in hand with Green values .. Really resonates for me. I’m a pakeha founder member of the Green Party. My 27yr experience moving from middle class Hamilton to a values driven land project in rural Far North has been a great learning for me about how Maori values fit well with Green values. In my community activism standing or sitting with Ngati Kahu in protest or committee over the years the naturalness of this fit has brought great reward. Kia kaha.